Nethone - the global leader in AI-powered KYU (Know Your Users) - joined the Travel & Hospitality accelerator at Plug and Play, a global startup ecosystem and venture fund, connecting over 280 industry-leading corporations with relevant startups to boost their innovation efforts. Warsaw-based startup joins 17 startups and growth-stage companies for a 3-months innovation platform, concluding with a graduation at Plug and Play’s Summer Summit 2019. Plug and Play were early investors in Google, PayPal, Dropbox, LendingClub, N26, Soundhound, and Guardant Health. Nethone's AI-driven solution helps to gain more loyal customers and prevents fraud using a proprietary Know Your User analytics system. 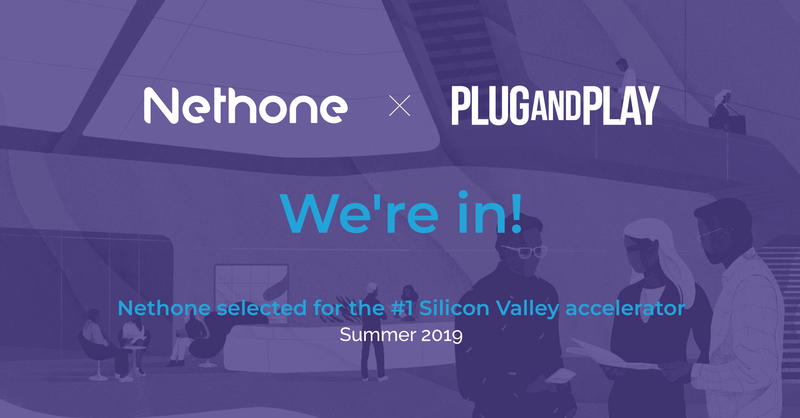 Thanks to the votes of Plug and Play's corporate partners, Nethone was selected from the Top 100 list of travel tech startups into the Summer 2019 batch for their Travel & Hospitality vertical. The goal of our participation in the 3-month programme is to launch pilot programs, licensing deals, and partnership opportunities with the program partners to play a positive role in this disruptive sector of the economy. Nethone has developed and thoroughly tested AI fraud prevention models, fully adjusted to the particularities of the travel industry. It combines the role of a hub: for merchants’ data and over 5000 data points gathered by our proprietary profiler. It renders precise recommendations for fraud prevention. This data boost will be especially pertinent for the development of an industry-changing solution with one of the corporations participating. Plug and Play is the ultimate innovation platform, bringing together the best startups, investors, and the world’s largest corporations. Headquartered in Silicon Valley, it has built accelerator programs, corporate innovation services, and an in-house VC to make technological advancement progress faster than ever before. To give startups the necessary resources to succeed in Silicon Valley and beyond, they are now active in over 25 locations globally, including U.S., China, France, Germany, The Netherlands, Singapore, Indonesia, and Mexico. Nethone has been providing fraud prevention services to the travel, e-commerce, and digital lending industries since 2016. From the start, the Poland-headquartered company has been serving clients all around the world.